Studio(s): Loud Films; IntrygueGraphics Media. Cast: Shaquita Smith (Serenity), Jaye Taylor (Rosella), Patrick Walker (Brayden), Blue Kimble (Jace), Sayyed Shabazz (Davey), Jael Roberson (April), Allan Ansell (Detective Swanson). Story: Serenity has spent months orchestrating an identity theft heist that will payoff big but when a friend goes missing and the police get involved she has to make a decision to risk it all. Source: Official Facebook page, IMDB. 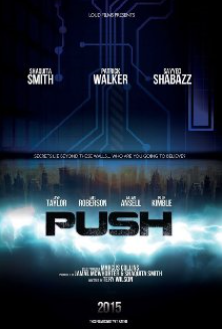 This entry was posted in Upcoming Films and tagged Drama, Shaquita Smith, Thriller by blackcinemaconnection. Bookmark the permalink.